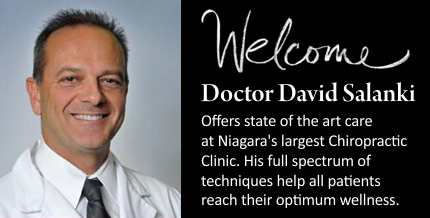 Dr. David Salanki and his Dedicated Team of Chiropractic Doctors, Physiotherapists and Support Staff offer a Full Spectrum of Services to Treat Patients at Every Stage of Life. Our dedication to service excellence is evident in our clean, comfortable clinic. Every patient is welcomed warmly, and treated with the upmost respect. Our Doctors listen to our patient’s needs and create an individualized plan of care before we begin treatment. Our Chiropractors care about your health and are well equipped to help you achieve and maintain your optimal level of health and wellness.